Find hotel near Iglesia De Dios Ministeri .. The Iglesia De Dios Ministerial De Jesucristo Internacional is a Christian Church located in Granada, Spain. The Church has been active for a very long period of time and they also carry out Bible reading in different languages. The Church was established in the year 1972. The Church has been able to bless thousands of people and they plan on doing so for a long time. People have been cured of their vices and flaws and have enjoyed the power of God in their hearts. 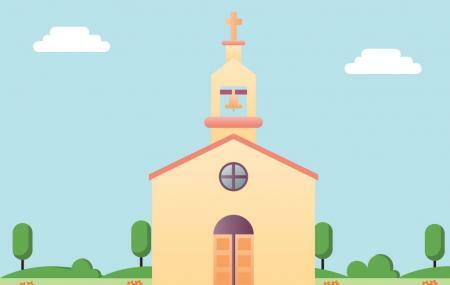 It is almost certain that if you come in contact with this church, then all your problems in life will be taken care of. To personalise your visit to the city, you can use an all-inclusive Armilla trip planner for the same that will give detailed information about visiting the city. Add accommodation and hotels in Armilla that suit your budget including the most recommended ones like Bs Principe Felipe, Don Juan and Hotel La Marquesa. Curated Armilla vacation packages await! Book the best ones and start turning your dream into reality.Discover various ways for how to reach Armilla and complete the booking by choosing your mode of transport. Love this? Explore the entire list of places to visit in Armilla before you plan your trip. Fancy a good night's sleep after a tiring day? Check out where to stay in Armilla and book an accommodation of your choice. Agradable lugar, con una atención muy amable.